From time to time, our attorneys and/or key staff members are the featured guest speakers at an organization or conference. Additionally, we also appear at many Trade Shows which are generally open to the public. If you are interested in attending any of these events, please contact our Director of Public Relations or send us an e-mail to request more information. Is there a Trade Show included? Who from Clayton & McCulloh will be attending? 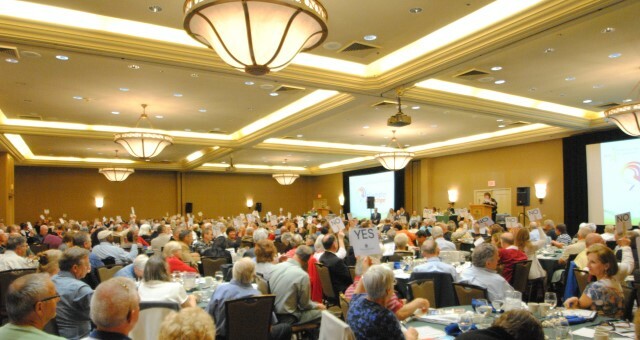 These complimentary large group Conferences are usually hosted during the months of January – May, each year accommodating anywhere from 300 to 600 Board Members, Managers, Committee Members, and Residents of Community Associations. The topics change annually and there are multiple classes to select from. The Conferences also feature a trade show of vendors who service Community Associations. The Conferences are open to the public and are usually held in Melbourne, Orlando, Ocala, and Lakeland. Some years also feature Conferences in Daytona Beach, St. Augustine, Tampa, Vero Beach, and/or Jacksonville. At this time, we do not have any Embracing Community Conferences scheduled. If you would like to be on our Mailing List to receive invitations to these complimentary conferences, please click here. Hope to see you there!